If this scheme smacks of getting your cake and eating it too, that’s because efficiency and higher performance rarely go together with a reduction in labor or complexity. DCAs often walk a thin line between cost and performance, falling back on redundant infrastructure and a large staff to keep things working smoothly. The average data center has too many moving parts to be predictable. Equipment failure happens all the time, whether due to mechanical issues or human error. When it occurs, deployment is often cumbersome, resulting in a lengthy time-to-service (TTS). To make matters worse, most data centers are perilously complex, involving an indefinite number of blades, racks, switches and routers without a central administration platform. This “siloing” of equipment and systems means that upscaling or downsizing is no easy task for administrators. Agility means – among other things – efficiency and simplicity. When an organization, strategy or workflow devolves into a rubik’s cube of interconnected parts, one small change has unintended consequences, creating resistance to change in general. Fortunately, it is possible to achieve even the highest ambitions of agility in the data center using a non-traditional approach to IT: unified computing. Cisco’s unified computing system (UCS) is a converged IT architecture for enterprise environments which abstracts hardware from functionality, allowing administrators to define and automate processes with minimal labor. 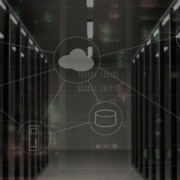 Using fabric interconnects (FI), UCS takes a “single pane of glass” approach to server management, enabling administrators to manage equipment through the creation of policies, pools, and profiles for blades and rackmount servers. Not only does this centralized approach eliminate a significant amount of grunt work, it also solves the issue of siloing in fell swoop. Policy Based Management allows administrators to configure 100 servers as easily as configuring one. UCS allows for the creation of service profile templates which are automatically configured as soon as a device is plugged in. This approach is as close to “plug and play” as a data center has ever come, leading a significant reduction in labor. By eliminating the need to manually boot and configure servers, UCS reduces TTS by a significant margin. In comparison with competitors, blades can be fully integrated into UCS fiber interconnects 47-77% faster than in traditional server environments. By simplifying the number of switching layers, devices and equipment connected to a network, UCS also allows for fast scaling and easy downsizing. Adding and removing devices is painless, requiring no manual adjustments. UCS improves utilization of equipment through the use of server pools that dynamically repurpose to accept certain kinds of traffic or tasks depending on workload. This reduces the amount of equipment a data center must deploy, leading to lower costs. While the term “agile” has been overused in recent years, UCS is one of the few technologies which really lives up to that promise in a field where agility has never been more elusive or important. And with Cisco’s recent updates to its UCS server line configured to support edge computing and AI/ML workflows, support isn’t going anywhere soon. If you’re looking to bring digital transformation and agile processes to your data center, UCS isn’t a bad place to start the search. Located near the booming data center corridor in Loudon County, VA, Digital Tech Inc provides rapid response maintenance services including EOSL extension, spare parts, short- and long-term maintenance agreements, migration assistance and depot repair options. Our skilled engineers offer multi-vendor support, covering IBM, HP, Dell EMC, Cisco, NetApp, and many more. Can Your Database Keep Up? If your organization is like most, databases like Microsoft SQL Server are used throughout your operation. Maybe you rely on these databases for online transaction processing (OLTP), data warehousing, or batch processing. Perhaps you use business intelligence, online analytical processing (OLAP), or report generation tools. Most likely, you use a mix of these systems. Whatever the workloads, your databases need to perform if they are going to be able to keep your applications fed with data. 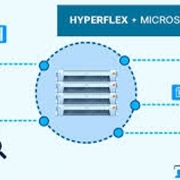 Cisco HyperFlex™ systems are a great platform for Microsoft SQL Server, Oracle, and SAP databases. Our all-flash configurations allow you to run your database and applications on one platform and get predictable performance every time. Read the case study on how CorpFlex used HyperFlex to deployed Microsoft and Oracle databases and ERP applications, reducing their storage footprint and TCO. It starts with the HyperFlex Data Platform where all of the storage devices are combined into a single distributed, multitier, object-based data store that allows all cluster resources to participate in I/O responsiveness. Data is dynamically distributed across the data store and, as you scale the cluster, every new and existing component contributes processing power and storage capacity. We designed the data platform around a log-structured file system that uses a caching layer to accelerate read requests and write responses. Fast writes: Incoming data is striped across the number of nodes that you define to meet your data availability requirements. When data is added or updated, the log-structured approach simply appends a new block and updates the metadata, requiring little use of the server’s processors. Fast responses: When data is moved from cache to disk, the data is deduplicated and compressed. This process occurs after the write operation is acknowledged, so there is no performance penalty for these operations. Fast reads: The most frequently used data is stored in the caching layer to accelerate read operations. Let’s take a look at networking in Cisco HyperFlex systems. Why? Because your databases and applications need massive amounts of east-west traffic bandwidth and low latency. With integrated fabric interconnects, you get high-bandwidth, low-latency unified fabric connectivity that carries all production IP traffic, hyperconvergence-layer traffic, and management traffic over a single set of cables. Every connection in the cluster is treated as its own microsegment, with the same level of security as if it were supported with a separate physical link, making the integrated network more secure. The system is designed so that all traffic, even from different blade server chassis, reaches any other node in the cluster with only a single network hop. No other vendor can achieve this result because they build switching into the blade chassis—switching that adds latency. Our latency is deterministic, so you get consistent network performance for the data platform, and you don’t have to worry about network constraints on workload placement. This single-hop architecture accelerates east-west traffic so that the cluster—and your databases and applications—perform better. The system stripes and replicates data across nodes based on policies that you set to meet your data availability requirements. You can even replicate data to local or remote clusters for backup or disaster-recovery purposes. How reliable is it? In the unlikely event of a failure, systems configured with five nodes or more can keep running even if all drives fail on two nodes simultaneously. And, the cluster can nurse itself back to health. In the event of a drive or node failure, lost data is regenerated using the redundancy mechanisms built into the system. When complete, the system can sustain further failures. That’s a deployment you can count on. Our distributed architecture allows every virtual machine (VM) to use the storage I/O operations per second (IOPS) and the capacity of the entire cluster, regardless of the physical location of the VM. Why does this matter? Microsoft SQL Server VMs frequently need higher performance to handle bursts of application or user activity. When VMs can access all of the resources in the cluster, performance skyrockets. We didn’t just handle more I/O. We handled it faster. While the other platforms delivered average response times ranging from 6.61 ms to 44.45 ms, HyperFlex responded in 2.46 ms. You can read the full report here. On top of all that, HyperFlex systems are easy to deploy, manage, and scale. With our HyperFlex sizing tools, you can determine which configuration is the right starting point of your workload. You can also take the risk and guesswork out of deployment with our Cisco® Validated Design guide for deploying Microsoft SQL Server Database on Cisco HyperFlex all-flash systems. https://digitaltech.com/wp-content/uploads/2018/11/hyperflex.jpg 600 1200 Bill Klein https://digitaltech.com/wp-content/uploads/2018/11/logo.png Bill Klein2018-11-29 03:00:322019-03-11 15:13:49Can Your Database Keep Up? A primary design goal of Cisco Intersight is to simplify and automate IT operations. Cisco Intersight – Essentials delivers on this objective with significant new advantages to Cisco UCS and HyperFlex customers. One of the challenges of management at scale is keeping things simple. When we first began developing the requirements for Cisco Intersight, our customers told us we needed to address the tedious tasks associated with maintaining systems. We had to simplify and automate many activities. I described this fundamental requirement as the customer demand for pervasive simplicity in a previous blog. Cisco Intersight – Essentials is designed to address many of these issues, such as updating firmware and making deployments more efficient. We wanted to explain how we have designed Intersight to make management of Cisco UCS and HyperFlex easier, so we developed this video to summarize some of the benefits. The process of updating and maintaining firmware at the right levels can be very time consuming. This is particularly true for customers with systems in multiple locations. However, it is critical to apply updates in a timely and consistent manner to ensure security and compliance. Cisco Intersight – Essentials addresses this issue by providing automated firmware updates for Cisco UCS C-Series servers. You can set policies to automatically update your rack-mount servers wherever they are located. We also support functions like UCS C-Series policy-based configuration with Service Profiles and virtual KVM to make remote provisioning and management easier. Here’s a link to an Intersight Communities page, if you’d like more technical details. We’ve also created this demo video to explain how the automated firmware update feature works. Many of our HyperFlex and Cisco UCS customers support systems in remote locations. They wanted it to be easier to roll out new systems and transition to hyperconverged infrastructure. We recently added a new HyperFlex Installer that dramatically simplifies deployments. This blog provides you with more details. Cisco Intersight is cloud-based management as-a-service, so we will constantly be rolling out new functionality and making it immediately available to our customers. We are just getting started. You can take advantage of the benefits of this new platform today at no cost by trying the free 90 day trial of Cisco Intersight – Essentials. 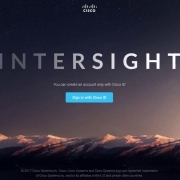 Just go to the Intersight portal at intersight.com and logon using your Cisco ID. There’s also a getting started video to help you. #CLEUR: If you’re attending Cisco Live Barcelona this week, learn more about the Cisco Intersight by stopping by the demo booth in the Data Center zone.